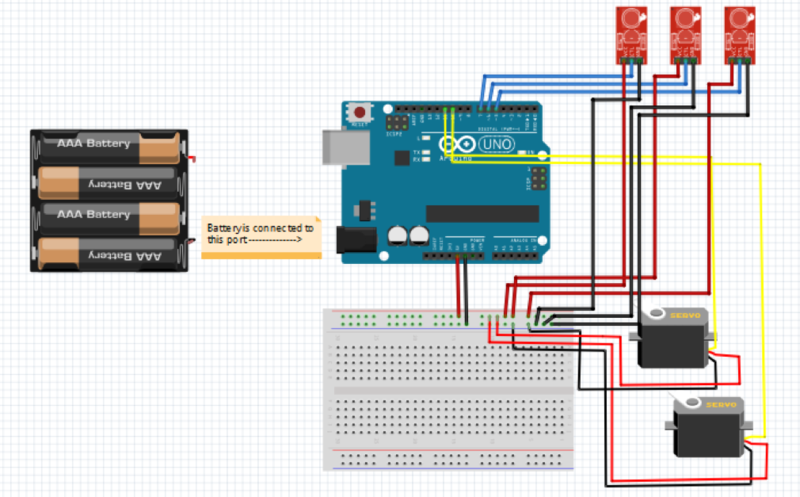 It is an Arduino coded robot which follows a black line. 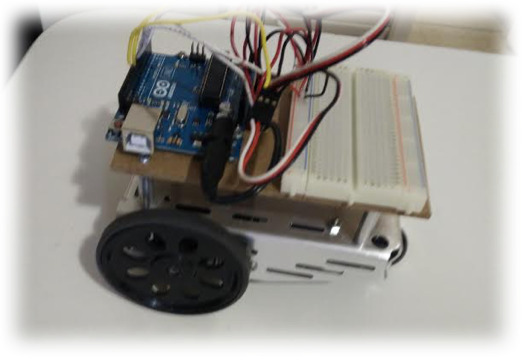 The following robot contains three Charge Transfer Infrared (QTI) sensors that guide the robot to perform a specific task. For instance, if middle QUI is located between the black tape and other two QTI sensors are in the regions of white coloured surface, the robot moves straight and follows the course. QTI sensors greatly help in attaining the position of the bot. Upon reaching the end of the course, when all three QTI sensors are on the white surface, the robot stops running. Rules are simple to operate the robot. All you have to do is put the robot on the black tape such that the middle QTI faces the black tape while the other two sensors face the white surface. The robot will do all the work, your task it to simply watch and observe!